Merino wool is naturally super soft, breathable, and lightweight -- truly an ideal fabric for babies and children. Because no other fabric feels as soft, wicks away moisture, helps regulate body temperature, resists odor, and embodies an adventurous spirit quite like merino wool. It's the perfect natural fabric for you and your little one. Merino wool is really soft. Super soft. Really super soft. Ultra-fine merino fibers mean next-to-skin softness and comfort. Merino wool is a natural renewable fiber. When you choose merino wool, your child is living in harmony with nature’s cycles. Our ZQ Merino comes from pasture-based sheep roaming freely in mountainous New Zealand and Australian meadows. 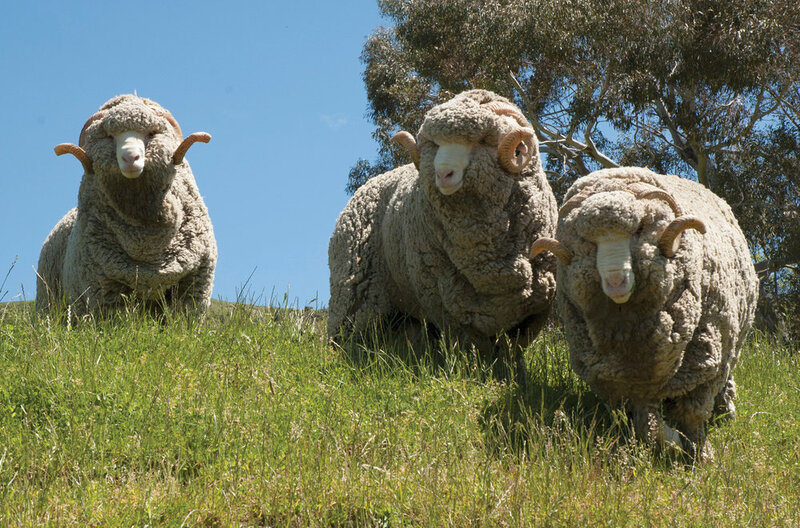 We choose to source merino wool exclusively from ZQ Merino because their ranchers take pride in the care of the sheep, the ranch land, and way of life. Importantly, ZQ Merino meets strict animal welfare, environmental, and economic sustainability standards. Our merino wool fabric supplier is also a Bluesign Systems Partner and certified by Oekotex 100, further demonstrating our ecological commitment from farm to fabric to finished garment. So Just where does merino wool come from? It comes from ranchers like Philip Rive, manager of the Cecil Peak merino ranch outside of Queenstown, New Zealand. Merino wool's field-to-garment story is a labor of love and takes dedicated ranchers, like Philip Rive, to bring the vision to life. Mother Nature endowed merino wool with some pretty amazing qualities. Imagine a fabric that helps regulate body temperature, keeping your child warm in the cold and cool in the heat. Imagine a fabric that resists odor. Imagine a fabric that wicks away moisture. Imagine a fabric engineered and perfected by nature. Merino is nature’s high-performance smart fabric. Just what qualities did Mother Nature engineer into merino? Glad you asked! Merino wool naturally attracts and absorbs moisture away from the body, ensuring that your child remains dry and comfortable. In fact, merino wool can hold one third of its weight in water before it even feels wet. In turn, merino wool naturally releases that moisture. The end result is clothing that dries quickly, breathes exceptionally well, and maintains its temperature-regulating properties in varied conditions. If you were to look at merino wool fibers under a microscope, you would see slight crimping in the fiber. This crimping traps tiny pockets of air, insulating the wearer against warm and cold temperature swings. Children work hard to maintain a consistent body temperature. Merino wool helps. Merino wool resists odor, making it a fresh choice wear after wear, day after day. As a naturally anti-microbial fabric, merino is also a healthy choice for children. Merino wool does not hold a flame, does not melt like some synthetic fibers exposed to high heat, and is self-extinguishing. No need for expensive dry cleaning or fancy laundering. Just machine wash cold using mild detergent and lay flat to dry or tumble dry low. A journey awaits. Let us explore, dream, and discover together.